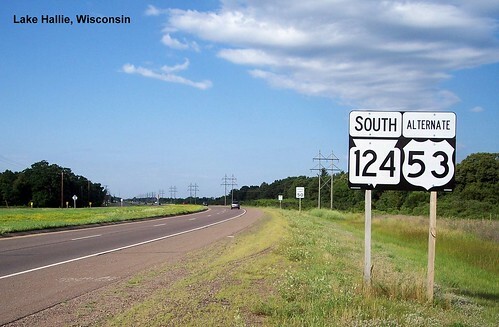 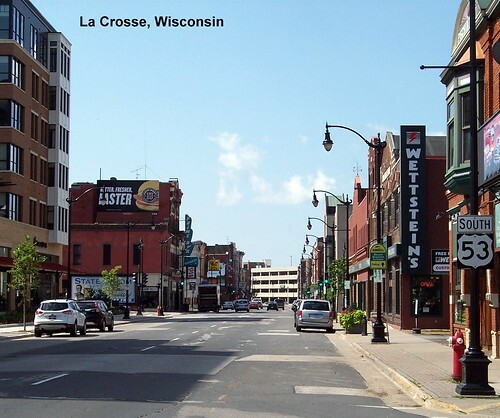 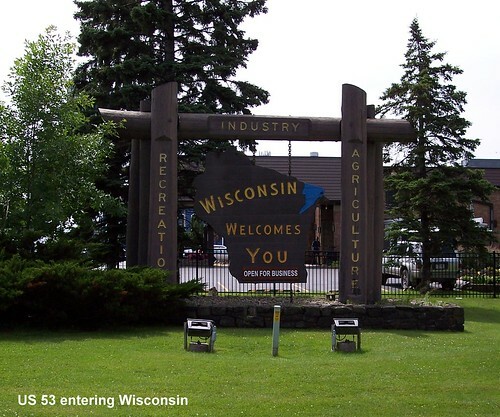 Wisconsin welcomes us as we enter Superior. 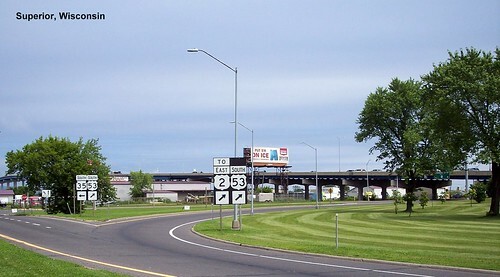 Looking back at the bridge over Saint Louis Bay. 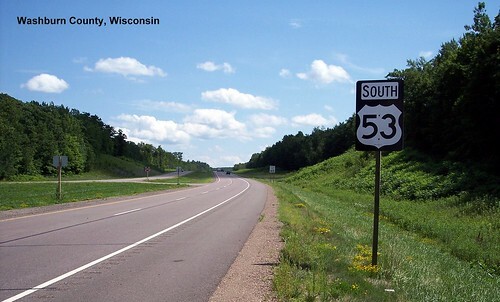 The northern part of US 53 is a major highway. 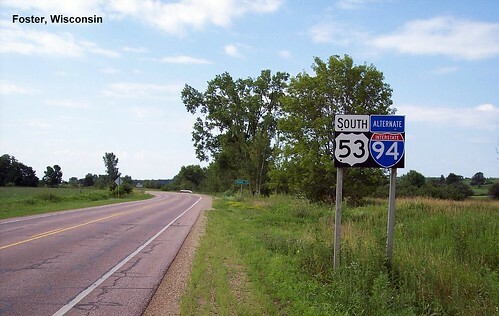 Leaving the freeway for a short time on Alternate US 53. 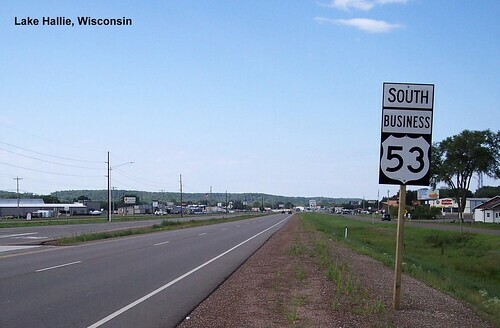 Also taking Business US 53 for a short time. 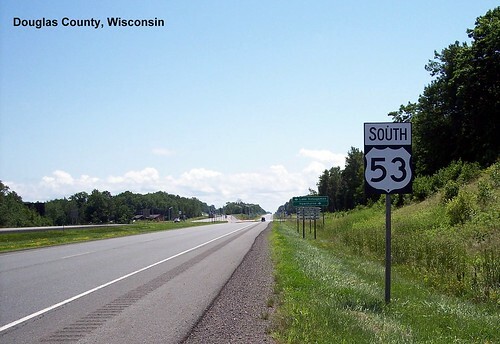 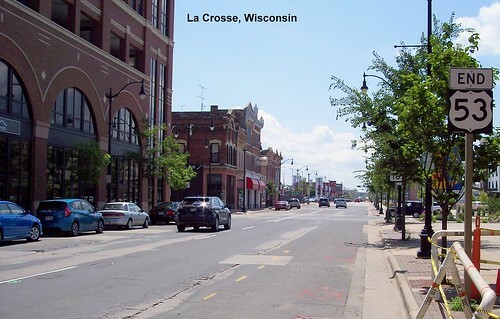 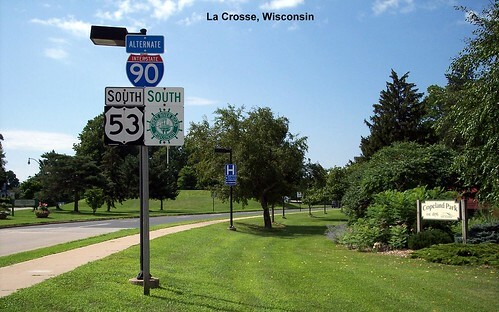 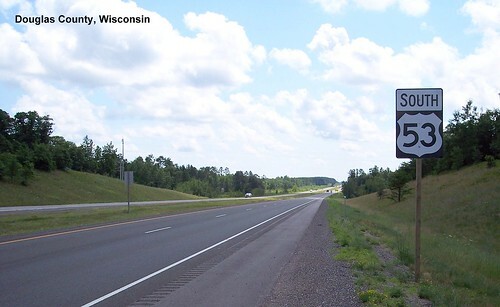 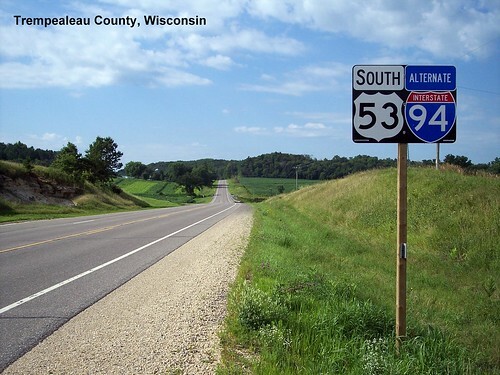 After crossing I-94 US 53 becomes a two-lane highway. 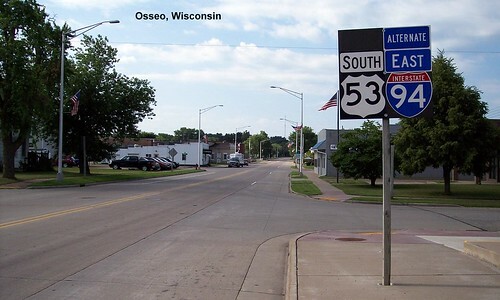 US 53 ends at US 14.